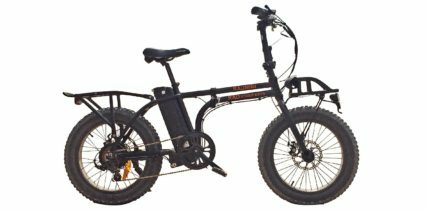 Kenda Juggernaut, 26" x 4"
Rad Power Bikes has rapidly grown their business from a crowd funded single-product offering to include a cargo bike and a mini fat folding bike in just a couple of short years! 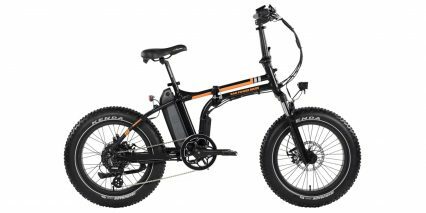 But it all started with the RadRover… This classic fat tire electric bike offers some of the best value I’ve seen on the market without compromising comfort and quality. 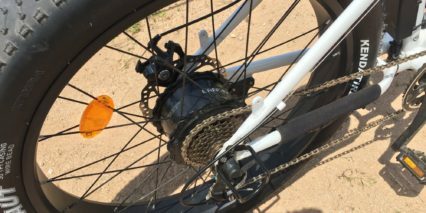 Upgrades like the Shimano Acera derailleur (which is two steps up from the standard Tourney I frequently see) should last longer and provide tighter shifting. 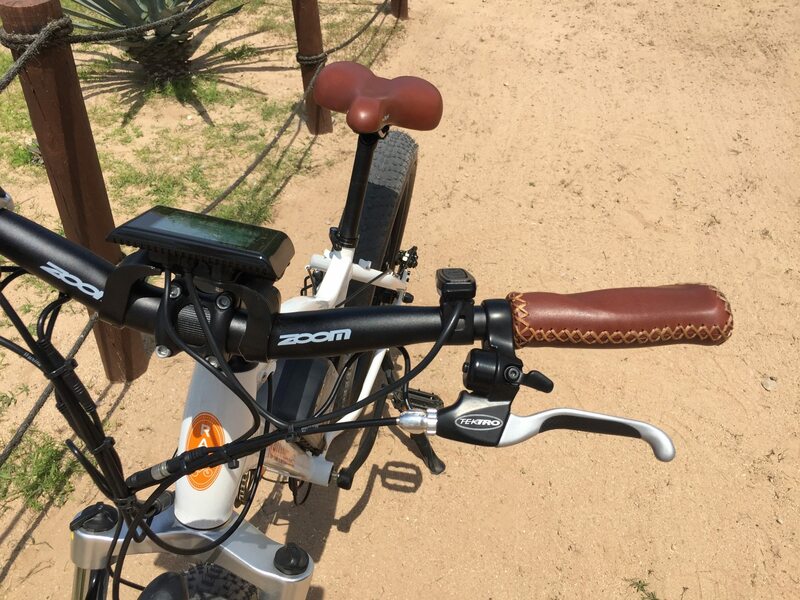 There’s a beautifully integrated bell that doesn’t clutter the handlebars because it’s designed into the brake levers (which offer motor cutoff when pulled). 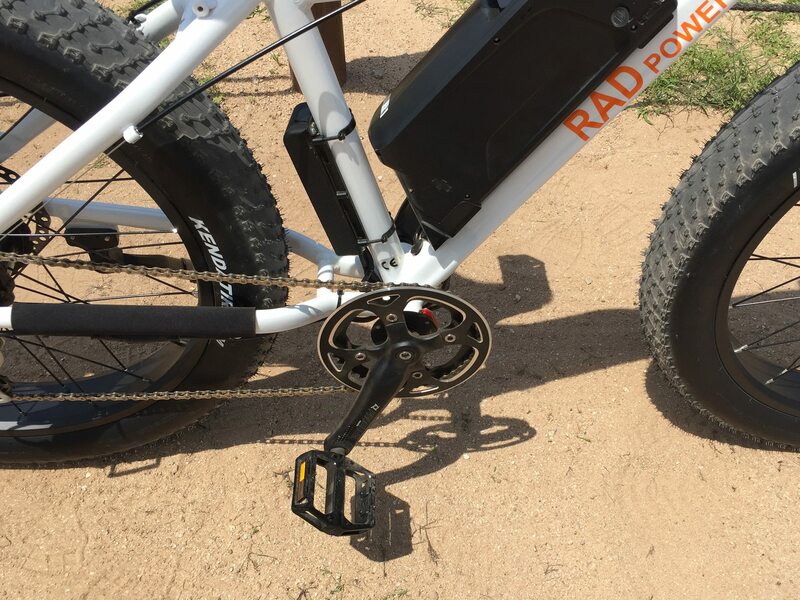 You get a fat bike specific motor from Bafang that maxes out on power for what’s legal in the US at 750 watts. It includes two LED lights and while the rear is more basic, relying on stand-alone battery cells, the front is integrated and runs off the main battery pack… which is huge! Not only do you get a powerful 48 volt configuration, the cells inside are from Panasonic, one of the most trusted and longest lasting from what I hear at shops and from consumers. And! 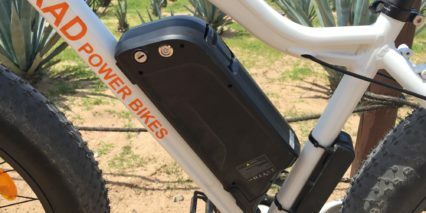 there’s a USB charging port mounted on the side of that pack so you can use it for backup power (charging a cell phone perhaps) or running extra lights on your bike. Unfortunately, the positioning is a little vulnerable because your leg and foot pass near the side of the battery. 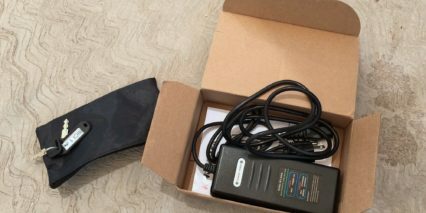 Consider a right-angle USB adapter if you intend to plug things in while riding. But the USB power doesn’t stop there, another plug is built into the display panel so you can still get energy without running a long cable. 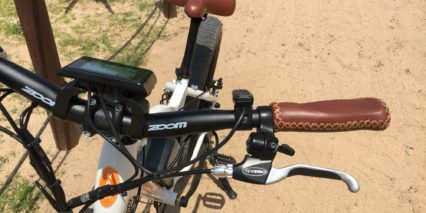 Powering on the bike is a two step process where you press a silver button on the battery and then hold the mode button on the control pad. 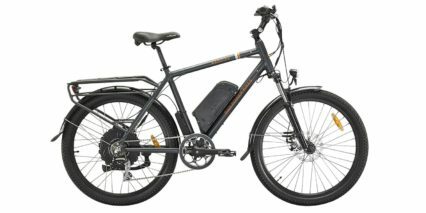 It’s an extra step that not every electric bike has but at least it’s not too difficult to reach. 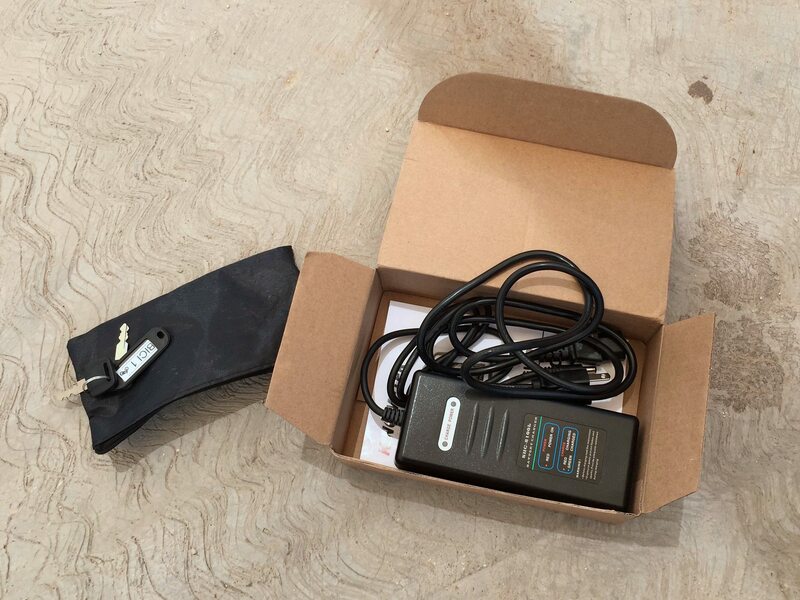 This may reduce phantom power draw from the battery if you take it off the bike and are using it to charge with one of the USB ports mentioned earlier. 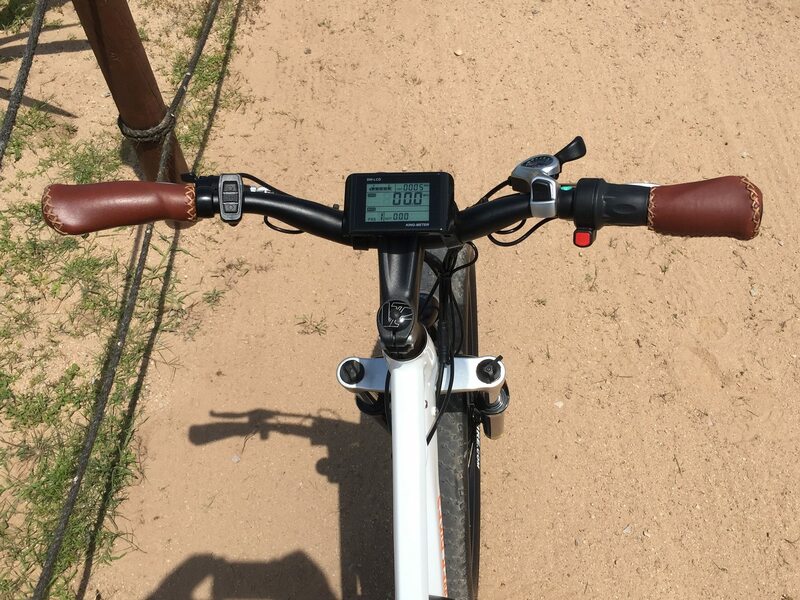 The button pad mentioned a moment ago, is mounted near your left hand so you can adjust pedal assist levels while riding without taking your hand off the grip. There are five levels of power and a level zero! 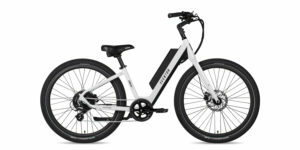 In zero, the bike won’t respond to your pedaling but the throttle will (if you’ve activated it) and that’s kind of cool. In all normal assist levels the throttle can override with additional power for catching up with friends or topping a hill. 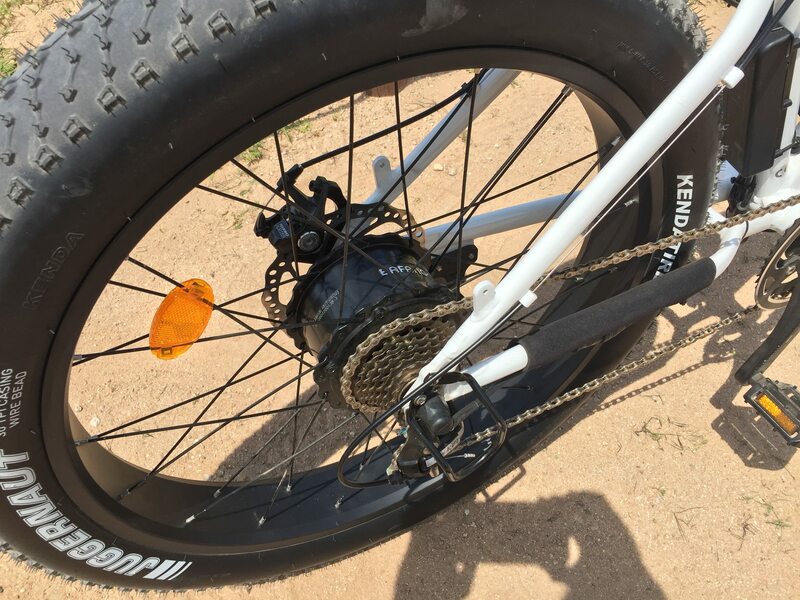 I love having a throttle on fat bikes because snow, sand and hilly terrain can sneak up on you and being able to power through or get extra help on demand makes for fewer crashes and generally more comfortable riding. And, since the RadRover is using a more basic pedal assist cadence sensor (with just six magnets vs. 12) I found that using the throttle and brake levers can lead to more precise control. Cadence sensors aren’t generally as responsive as torque sensors but they are less complicated, less expensive and they don’t make you work as hard. In the future, maybe they will switch to a 12 magnet design but still, the throttle helps and being able to one step further and actually disable the throttle with the red toggle button mounted near its base, is fantastic. 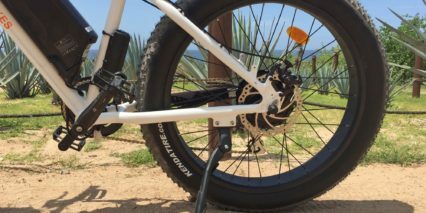 Sometimes you don’t want to worry about accidentally twisting that throttle (like on really difficult terrain or descending or when you’re loading the bike up). Turning it off means that 750 watt motor won’t accidentally get out of control. 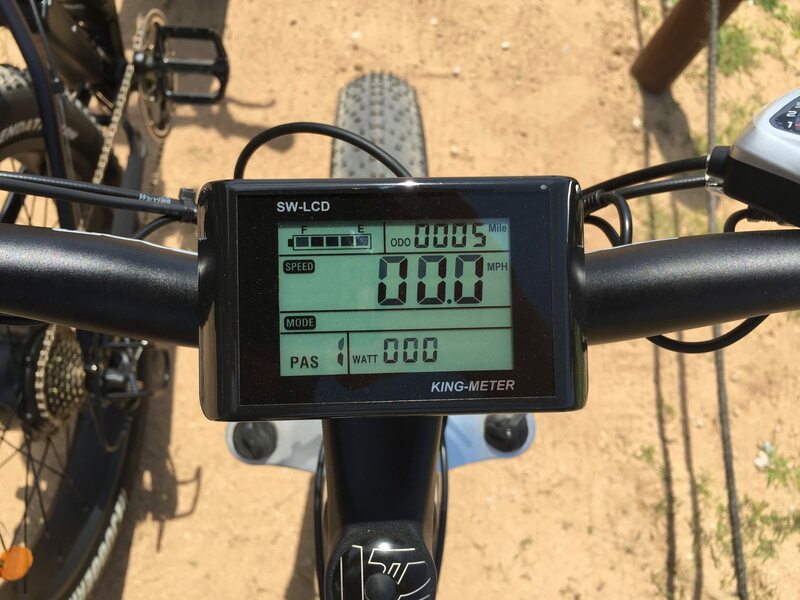 Using this bike can take some extra practice just because there are more drive options and the display has a lot of readouts. I prefer it this way but as a more advanced rider, I don’t feel as overwhelmed. What you see with the display is the speed, assist level and battery gauge (along wth a lot of other little readouts). 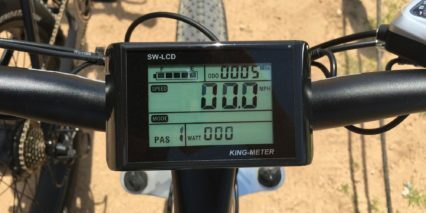 The display is backlit which is great for night riding and it can be swiveled to reduce glare but it is not removable. 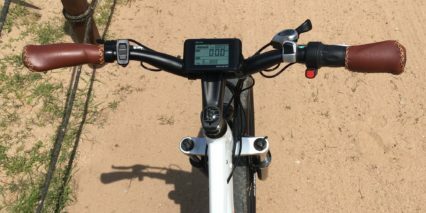 Some quick tips on the display panel: you can hold up to switch from average speed to max speed, hold up and mode to turn on the headlight and hold down to activate walk-mode which propels the bike gently forward so you don’t have to push it up hills (if you decide to walk vs. ride). In the video review you can see us riding in deeper sand and I share a few tips about accelerating slowly to maintain balance. Once or twice I decided to walk the bike to meet with a friend just down the way and using walk mode significantly helped because the bike weighs ~63 lbs and sort of sinks in when you’re on the sand. Yes, you could just twist the throttle but that’s more sensitive and tends to kick up sand if you accidentally twist too hard. 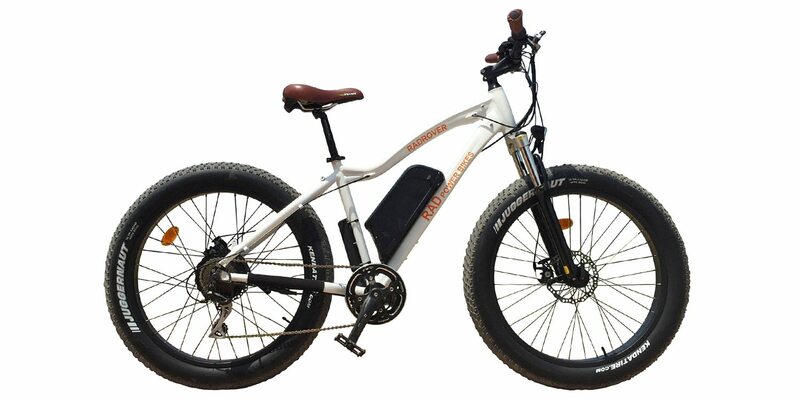 At the end of the day, Rad Power Bikes has proven that they can produce reliable ebikes at reasonable prices and deliver and support them well. This is why I recommended them as one of the possible platforms for Cabo Adventures (where this video review was shot). 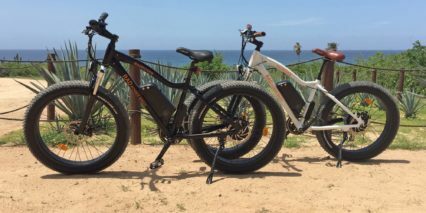 The resort wanted to buy some bikes that would empower visitors to ride on the beach even in deep soft sand and not get exhausted when it’s super hot outside. 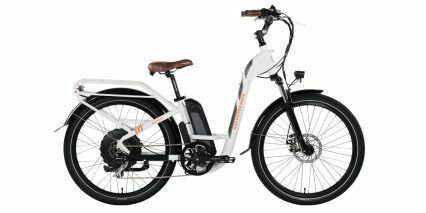 The bikes performed beyond my expectation and were some of the most comfortable I tried. The mid-rise handlebars, ergonomic grips and softer saddle just made it feel good. The suspension fork, while basic, did its job marvelously and kept my wrists, forearms and shoulders from getting sore. 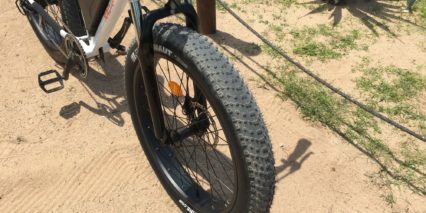 One of the bigger points here is that we rode the bikes in sand and near salt water and they did begin to rust after a week. Rinsing them off after this sort of riding is a good idea. Whether you’re in snow where salt has been scattered to melt ice or near the ocean the bikes will show wear. In my opinion, if that’s the sort of terrain you expect to encounter, it feels nice knowing you didn’t spend $5,000+ on a bike than one you can pour some money into ongoing for replacement parts. I don’t mean to say the bikes won’t hold up, even with rust on the chainrings they should continue to perform. 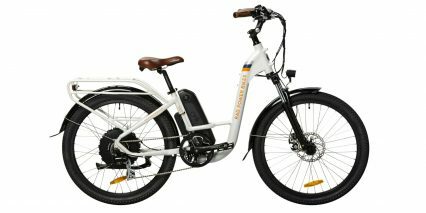 There are so many bikes coming to market these days that do not have a throttle mode and in conditions like the ones we rode in it can be very very useful and almost everyone who tried the bikes there (including my girlfriend) said they loved the throttle. There’s more to say about this bike and I’ve done my best in the pros/cons below but you can also watch and read comments for the older RadRover model from 2015 here. 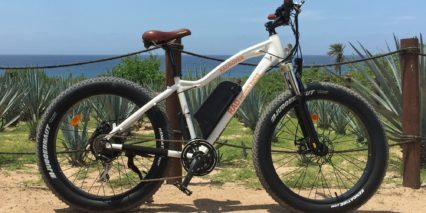 Big thanks to Rad Power Bikes for partnering with me for this review. 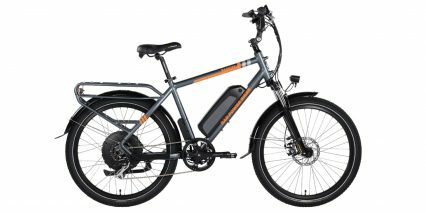 Are there any lightweight eBikes out there that are reliable and won’t break the bank? What are some of your favorite models? 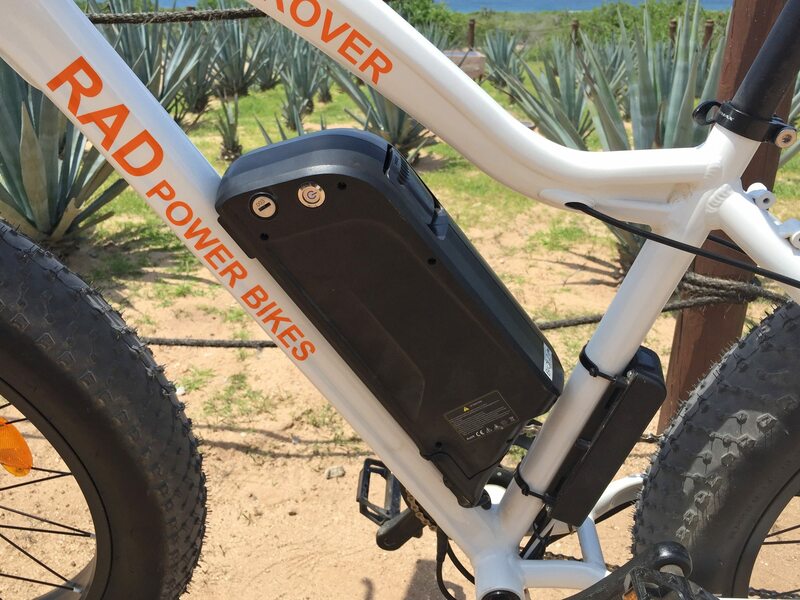 I really like everything I have read bout the rad rover other than the fact that it’s 60 lbs, although I know eBikes are going to run a little heavier with the battery. Hi Count Rye, after some of your reviews I decided to buy the RadRover. Received it a couple of days ago and already tested it out. 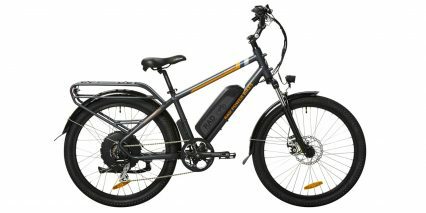 Great ebike for the price and also ordered the rear rack. Bought it on Cyber Monday so I saved on the shipping cost.. 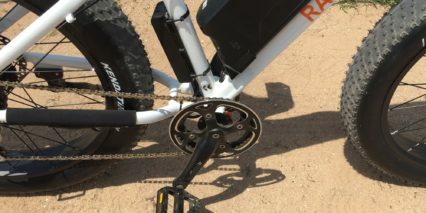 I agree it could use a plat on the inside to help prevent the chain falling off which already happened once when my wife was dismounting and the bike came to the ground. 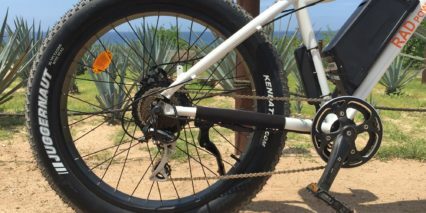 Also when first testing it out the derailer was not set right and the chain got tangled some, turned the bike upside down and readjusted it. I’m looking for a fat ebike for my wife, mine is to tall for her, especially when dismounting. 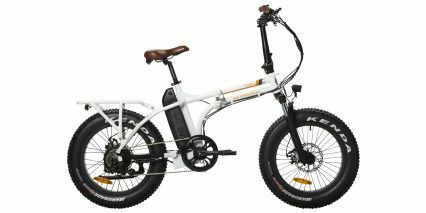 Which fat ebike does your girlfriend like best ( I believe her name is Moa ). 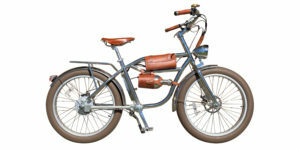 I seen her with the Voltbike Mariner and the Radmini. 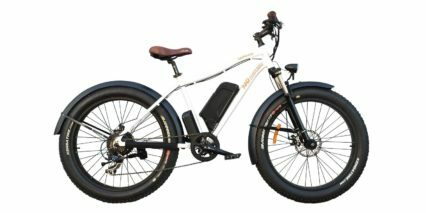 Are their other similar fat ebike? Thanks for your reviews. Hi Errol! Thanks for sharing your experience with the RadRover so far. My girlfriend Mony struggled with the height of the top tube as well but enjoyed the VoltBike Mariner much more. 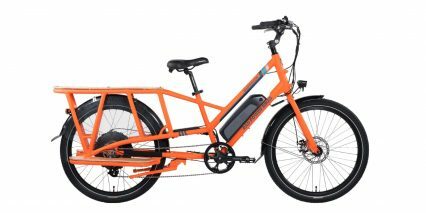 I’d say it’s fairly comparable to the RadMini but uses a trigger throttle vs. twist and has a narrower top tube and folding point. this was an area where she still bonked her knee once on the RadMini and felt a little sensitive after that. 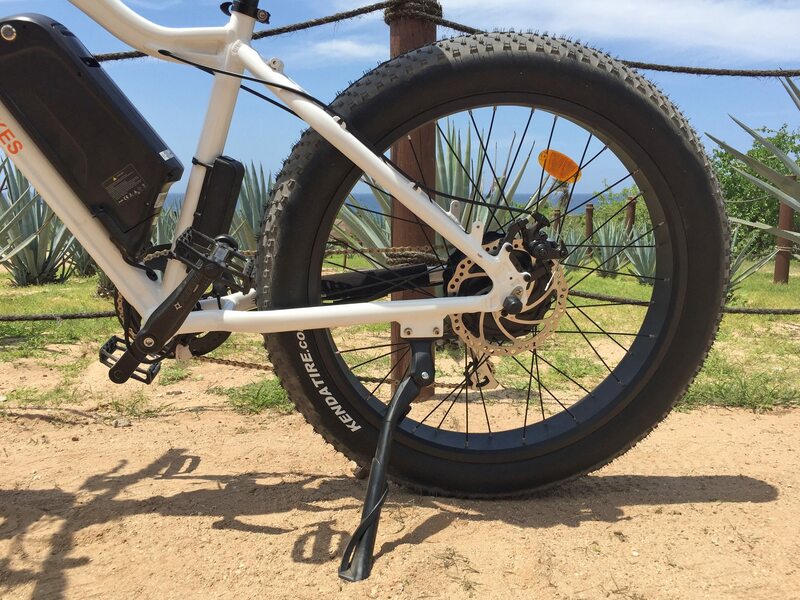 Another company to consider is E-Lux which has a full-sized fat tire bike called the Tahoe which you can get in high-step or step-thru and is very comfortable, powerful and clean thanks to integrated metal fenders. 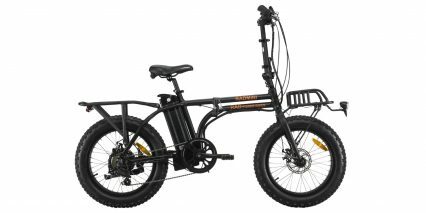 Another folding fat mini bike is the SSR Motorsports Trail Viper but I haven’t seen their latest iteration. Once you decide and get something for her I’d love to hear how it all works out! 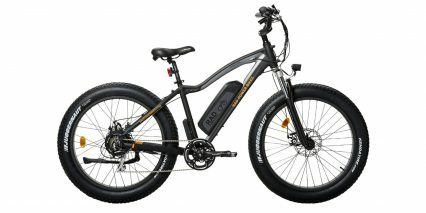 After much consideration and help from your EBR, we’re going with the Voltbike Mariner. I texted Voltbike and they said there going forward putting derailleur guards on. They also said prices will increase in January. Maybe your site had some good influence. Also they were offering a free motorcycle helmet with purchase. We also bought two of the Star Wars trooper helmets that I asked you about before. Hello everyone, I am interested in buying the Rad Rover and I had a question. I was wondering if there is anyone who has found or modified cargo trailer to work with the Rad Rover? 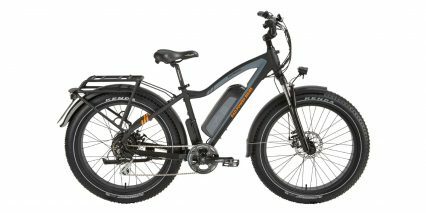 I live in Colorado and am intersted in this bike so I can commute to work (about 10-14 miles round trip, depending on which location I need to go to) year round and maybe do the occasional trail riding on the weekend. 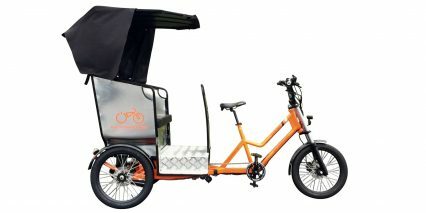 I would like to find a trailer that would work on the bike so I can go without my car entirely and so I can take my dog kennel. 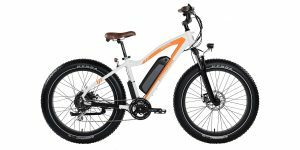 My dog had knee surgery and can’t really keep up with a bike anymore, especially an E-bike. Any advice would be much appreciated! Thanks for you time. Hi Court, thanks for the quick reply! 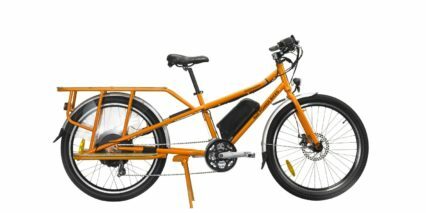 I called Rad Power Bikes today and they said that while they are hesitant to recommend trailers for the Rad Rover, they did say that any seat post mounted trailer will work or any trailer that can attach to a Burley Trailer hitch will work (amazon link here). Super easy to get a hold of someone at Rad Power Bikes and they answered all of my questions in no time. Thanks to your awesome, highly detailed, website, write ups and youtube videos, I pulled the trigger and bought a Rad Rover and Rad Mini today! Thanks for the help! My wife is 5’5″. 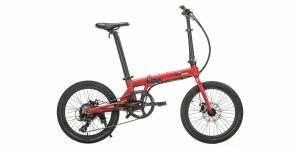 Based on experience of others mentioned above, is she likely to have trouble with the frame height? 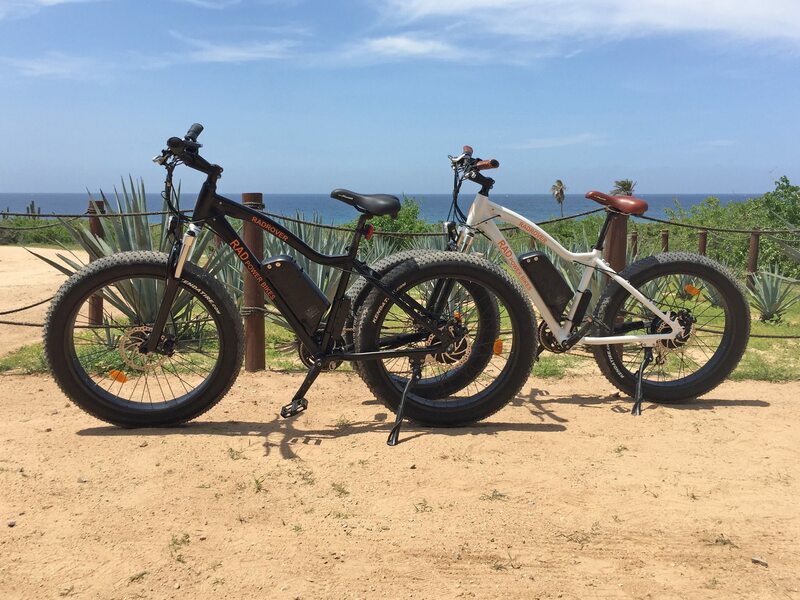 We would use these on beaches that require fording some creeks running out into the surf, sometimes as deep as wheel-hub deep (but its fresh water…..). 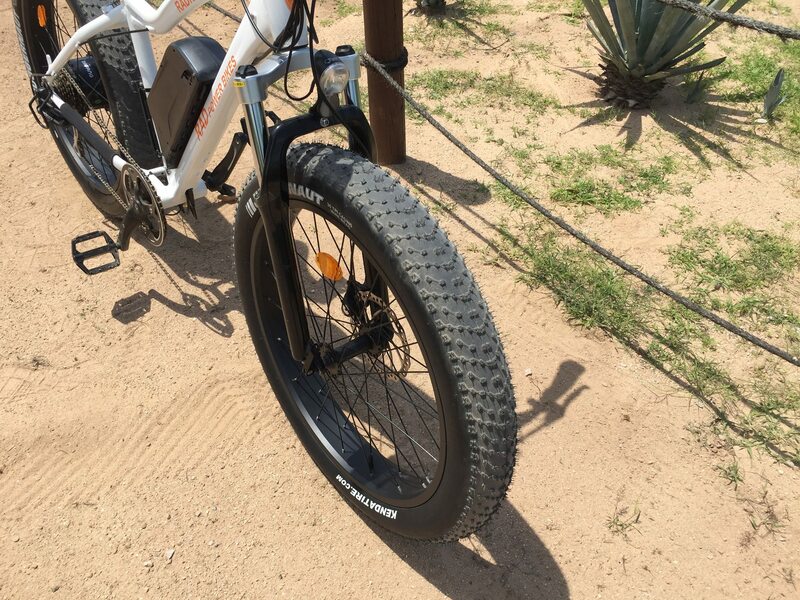 Are these bikes designed to handle water that deep? Hi Tom! 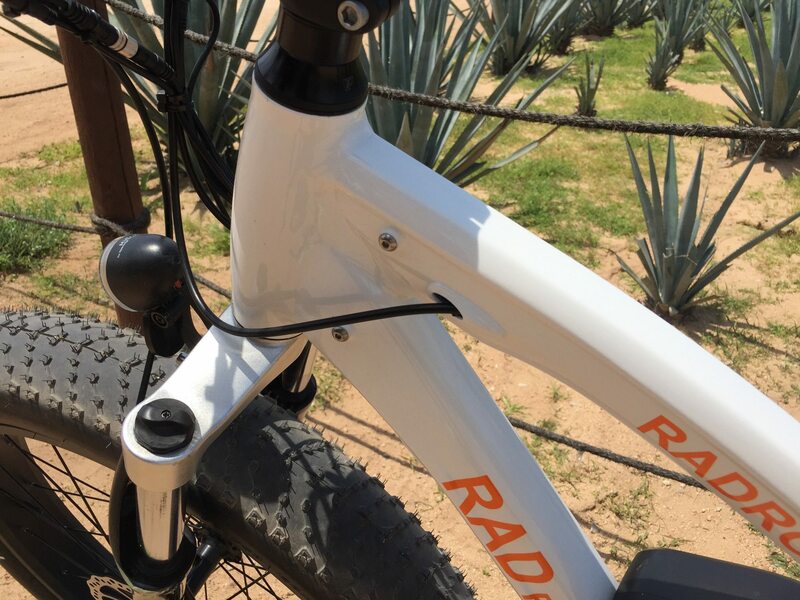 I think a balanced rider could deal with the higher top tube and just top to the side when stopping or hang a leg over with a bent knee… but there’s definitely more weight and height to this model than the RadMini. 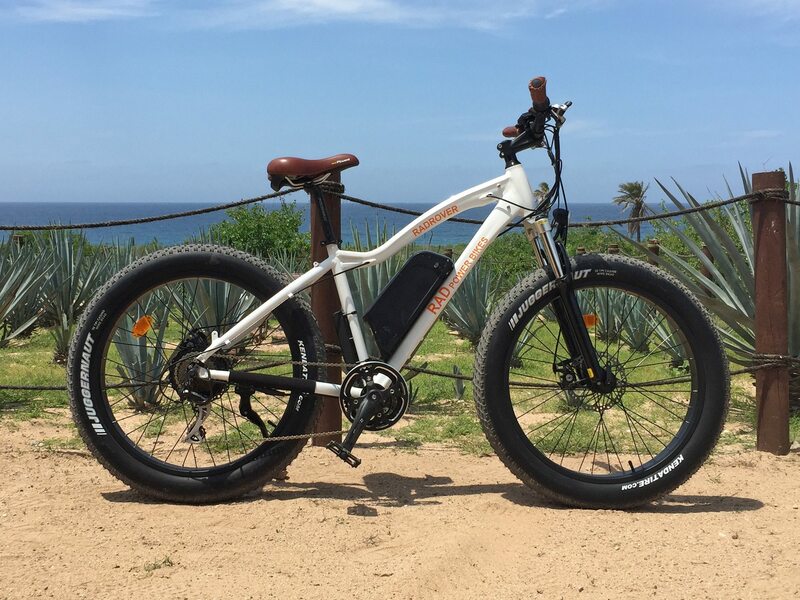 I had my girlfriend with me in Mexico testing multiple models for these reviews and she hurt her thigh (and maybe her crotch a bit) jumping off into the soft sand and landing on the bar but she’s like 5’3″ I think. 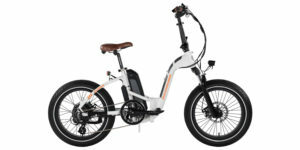 She preferred the RadMini so that might be worth exploring but the wheels are smaller and the hub motor is even lower. 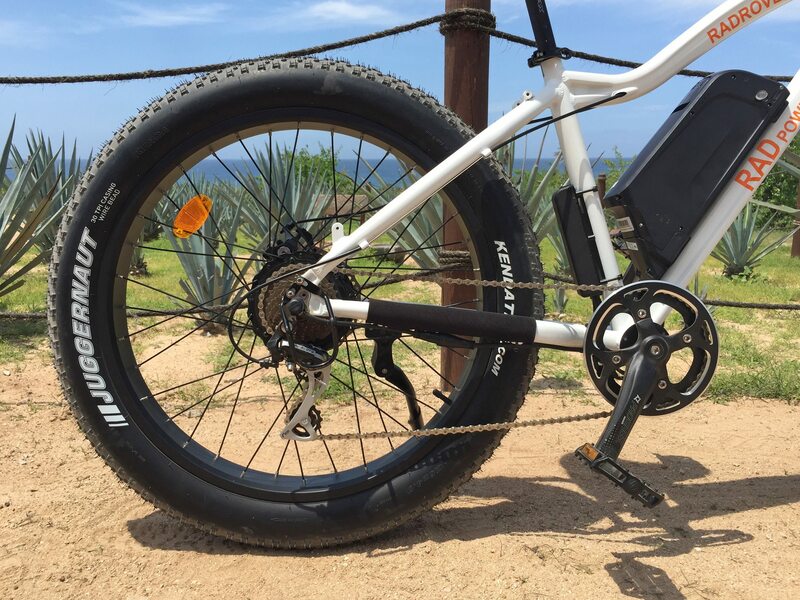 I would not recommend submerging it or the battery, ideally, only the tires and maybe part of the lower spokes but none of the wires or other electronics. 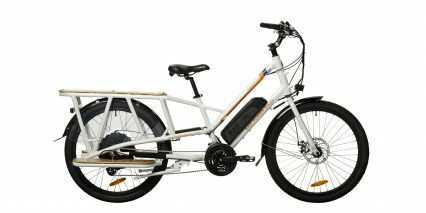 I am considering buying two Rad bikes; one for me at 220 lbs and one for my wife at 120 lbs. 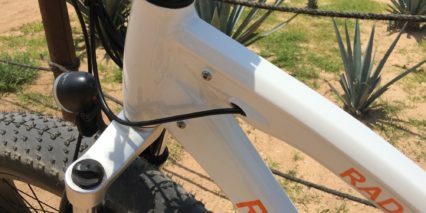 The Rad specs say that the bikes should not be used for hills exceeding 15% grade. Does this apply to short 320 foot stretches? The distance between level cross roads (i.e., city block slope length) is 320 feet, the grade between cross-roads is 16.2%, and there are 8 blocks to climb up to my house. I am 220 lbs. 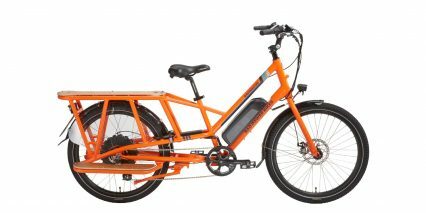 Can the Rad City do this with moderate peddle power? Can my wife, at 120 lbs, do this hill with light peddle power? Or is this just too steep for a Rad bike?